Tar and Chip Paving has a long history. Way before there were asphalt plants producing hot-mix, roadways needed structure and stabilization. For over 150 years, the simple technique of applying a thick layer of tar to a well-graded road base and covering it with aggregate was relied on to expand early North American infrastructure. Fast-forward to this March of 2017, the Canadian government has cited the increased use of Tar and Chip Paving as the future of the pavement industry in Canada. Municipalities and provinces across the country have increased budgets for tar and chip paving as the method of constructing new, low-traffic roads as well as preserving existing pavement surfaces to extend their lifespan. TAC Ottawa experienced strong growth over the last few years due to the success of our upgraded and proprietary tar and chip paving technique. 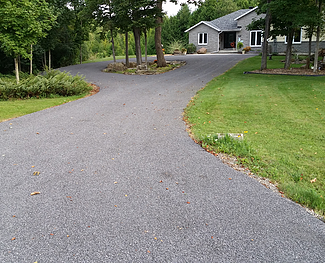 We started by applying the government spec for Canadian Tar and Chip roadways to our driveways. However, we wanted to create something even better so we didn’t stop there. TAC Canada Inc has developed a long-term relationship with the world’s largest chemical manufacturers to help develop new proprietary additives to increase pavement flexibility and lifespan in Canadian climates. “We developed a proprietary paving process” said Davis. “Nobody else knows our recipe and that is something we are very proud of. Our goal is to make the best pavements more affordable. Our pavements will last a long time and cost less than other surfaces.” -Ottawa Citizen’s Newspaper interview with TAC Ottawa CEO Taylor Davis, May 2015. Before TAC Ottawa, tar and chip was known as an old paving technique. Companies before us would show up and just start spraying tar, covering it with stone and thinking that was good enough. Simply put: nobody took the time to innovate on this process until we showed up in the marketplace. Read more About Our Story here. Tar and Chip Ottawa’s process is extensive. In addition to first installing a laser-graded base, we pave a much thicker overall pavement. 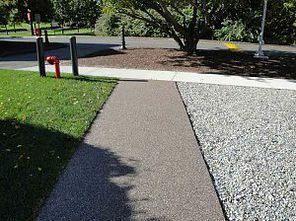 We use high-grade, innovative materials: HIGH AC-Content, polymers, rubber and other specialized compounds that help us to produce the Ottawa pavements that we do today. In addition to Tar and Chip Ottawa Paving, we offer 3 other exclusive pavements to choose from. Take a look at TAC Black, GemStone or Addagrip Porous. Thank you again for taking the time to read about our company and our products. Happy paving! Home owners should be aware that residential asphalt paving contractors buy their asphalt from the same manufacturers that are producing problematic asphalt in Ottawa, cited by the Auditor General’s report on pre-mature failure of asphalt after only 1-3 years. In many cases, the costs to repair failing asphalt was as high as 53% of the original contract price! The lifetime value of asphalt is decreasing and cost of ownership has skyrocketed. After the 2016 Auditor General’s report on the premature failure of asphalt pavements all over Ontario, TAC Ottawa was invited to attend a provincial pavement conference with the National Capital Heavy Equipment Association. We discussed potential solutions to premature asphalt failure with some of Canada’s biggest construction companies and government bodies. We were delighted to hear our product videos were being played at their offices during discussions on pavement technology! 1- There was serious concern for premature failure of asphalt pavements across the Ottawa-Toronto areas, with severe cracks showing up after only 1-3 years of asphalt paving. 2- Premature asphalt failure in Ottawa pavement was costing us an average of 16% of contract costs annually. “In a sample of five highway jobs, the ministry paid $23 million in repairs after only one to three years. That’s on top of $143 million to do the paving jobs initially. All of the work should have had a life of 15 years.” – 2016 Auditor General’s Report. 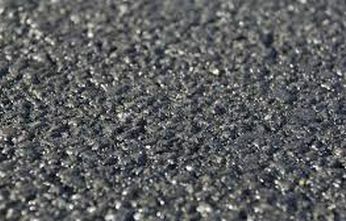 3- The cause of premature asphalt failure was identified as: “Irresponsible use of recycled asphalt content by asphalt manufacturers” as well as low AC Content in asphalt hot-mix pavements. You’re already spending tons of your tax money on cleaning up after weak asphalt. Give us a call 613-627-3833 info@tarandchipottawa.com to get a free estimate today. TAC Ottawa driveway’s never need to be replaced. Our construction method is layered. 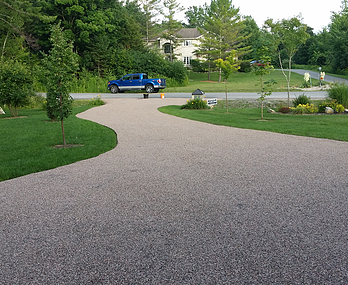 Even at the end of the driveway’s lifecycle, you can apply a single layer to completely renew the surface for a fraction of the original cost! A huge difference in lifetime value. To learn about asphalt alternatives with more flex and a way higher lifetime value, see TAC Black video. Visit the GemStone Paving page to learn about how you can build stunning natural stone driveways, walkways or decks at half the price of interlock. Water drains through! Addagrip Porous Pave is an eco-friendly, premium porous pavement from the UK. You can have it installed for the same price as interlock pavers. Gravel driveway was washing away. Gravel driveway ends up on the lawn each winter. Gravel driveway tracks into the house. Snow plow wrecks the gravel. Dirt stone driveway doesn’t stay flat. Dusty stone driveway is muddy. Sandy stone driveway keeps sinking. Asphalt is overpriced and cracks. If you’ve experienced any of these symptoms, it is recommended you consider hiring Tar and Chip Ottawa. A new TAC Ottawa driveway will stop the madness. And your property will be rejuvenated with a beautiful natural look. Practical, unique and more affordable… what more could you ask for in a driveway? We have limited availability, please call 613-627-3833. Hand-held asphalt distributor equipment available for small spaces and smaller driveway construction. 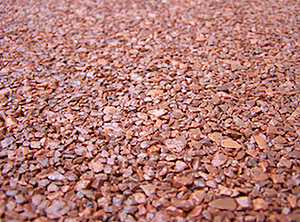 Our tar and chip style specialty driveways began as our core business. Our goal from the beginning was to make better pavement more affordable. Over the years we’ve seen our product evolve from a beautiful/economical way to pave into an incredibly durable and more practical modern option, in an industry desperate for innovation. Today we offer 4 driveway paving options. From the traditional tar and chip, with a loose stone finish to GemStone paving; premium coloured granites, quartz or marble surfaces, smooth to the touch, built with a UV-resistant resin. We can go the extra mile when needed. Our Porous Pavements offer the same beautiful appearance of GemStone but allow water to pass through and return to earth. The pavement is tar-free, porous and flexible. 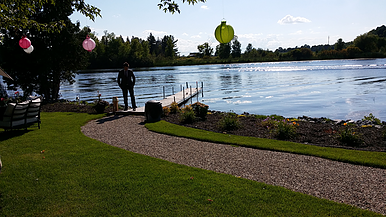 Whether you need a lawn turned into a driveway or have gravel that’s washing away, we are your solution. As we continued our mission to make the best pavement money can buy, our customer base has evolved from primarily rural areas for regular Tar and Chip to mostly city driveways for GemStone. They want something unique and practical. Tired of ugly, cracked asphalt. Love that there’s no maintenance. If this sounds pretty great to you, we think you should give us a call! Our season fills quickly, please call 613-627-3833. Multi-coloured Granite pathway by TAC Ottawa. Ask about our backyard landscaping options. TAC Ottawa Interlock landscaping and pathway design in action. 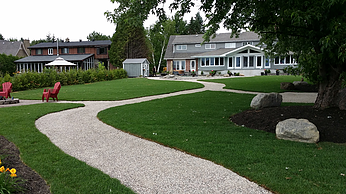 Ottawa interlock landscaping is a service we provide as it compliments our core product beautifully. A TAC Pathway surrounding interlock landscaping or a pool as shown, is a remakrable way to finish a backyard. Swap interlock bricks for TAC Ottawa Pathways and save a fortune on the square footage! 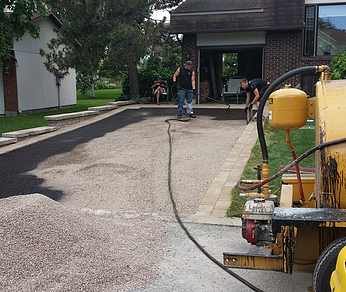 TAC Ottawa Landscaping Pathways are excavated, filled, compacted, hot liquid asphalt is applied and a top coat of multi-coloured granite finishes the surface as it hardens into the tar. Grey limestone driveway meets a granite pathway under construction. TAC Ottawa Interlock landscaping and pathway design in action. Ottawa interlock landscaping is a service we provide as it compliments our core product beautifully. A TAC Pathway surrounding interlock landscaping or a pool as shown, is a remakrable way to finish a backyard. Swap interlock bricks for TAC Ottawa Pathways and save a fortune on the square footage! Multi-coloured TAC Ottawa Granite pathway to the river during a wedding. The traditional European Tar and Chip Driveway finishes with loose stones on the top of the pavement so as to provide protection for the curing pavement below. 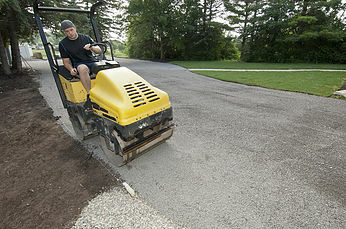 Clients are able to drive on their new driveways right away this way. 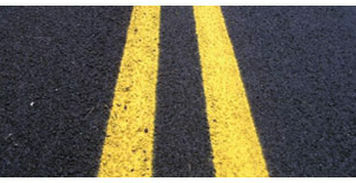 However, we have found this to be sub-optimal for some of our city-based clients who want a completely smooth surface. GemStone offers the best of both worlds, combining the flexibility and durability of our liquid asphalt / aggregate mix with a patented UV-resistant binder overtop a high-end stone. TAC Black is our asphalt competitor. It’s used to build driveways, roads and parking lots as a more practical and economical alternative. It’s flexible surface is rougher than traditional asphalt, but is flexible and won’t crack. 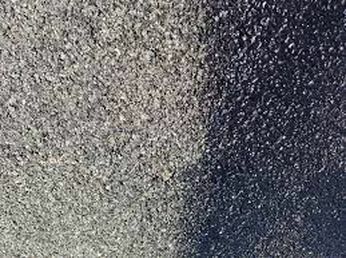 TAC Black is a custom blend of asphalt bitumens and solvents designed exclusively as an asphalt replacement. TAC Black application up close. 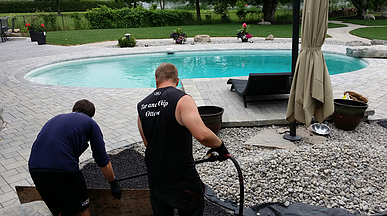 We can upgrade traditional Tar and Chip driveways to TAC Black to smooth them over and add a final touch of strength. TAC Black on a roadway. The thick asphalt spray dries to lock in aggregates so cars can drive faster on this new TAC road. High-end stone with zero loose aggregate and a natural stone look. Excellent alternative to interlock. 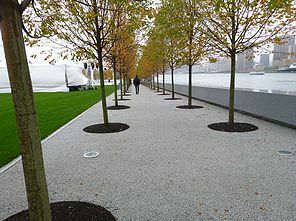 Porous pavement in New York City to construct this beautiful pathway through the trees. 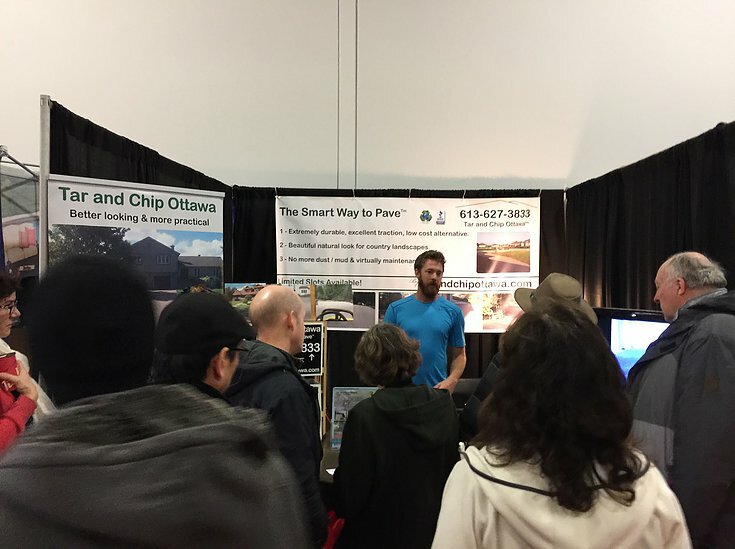 TAC Ottawa Cheif Product Officer Kyle Pittman, educating the crowd at the Ottawa Home Show 2015 at the EY Centre.